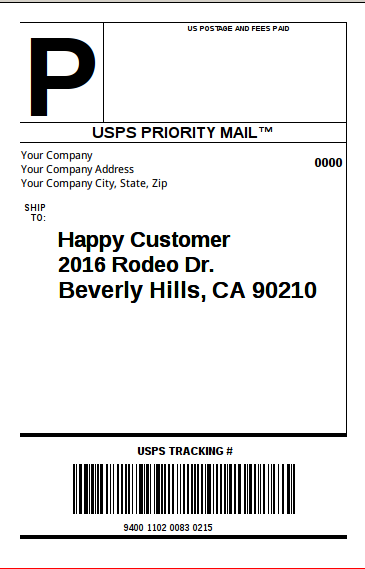 We offer custom shipping labels for all of our brand building customers. You can use your address or ours as your return address on your labels. We can even add your vectorized logo if it fits within the design specifications. ALL packages we ship on your behalf are fully insured. Each package we ship for you will include a packing slip. The packing slip can be our standard packing slip printed in B&W or color. 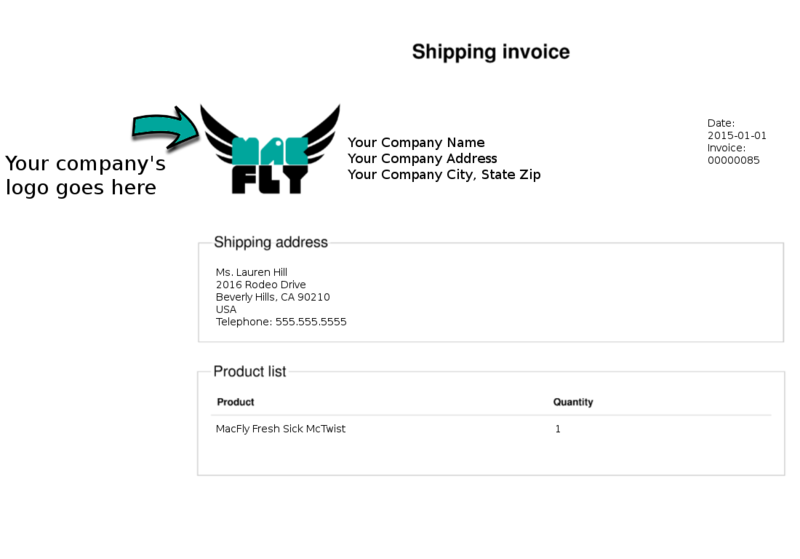 For the adventurous, you can send a custom layout for your packing slip to be included in your packages to your customers. We can put your custom hang tags on all your garments fulfilled by our shop. You can supply us with the hang tags, or we can design, print, and apply the hang tags for you. 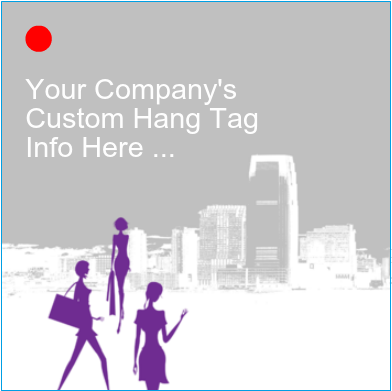 We will work closely with you to determine the best placement for your hang tags. Custom hang tags produced by MacFly will be 2" x 2"
Polybags not only protect your customer's purchase, but they also give your brand a very professional look. We also apply a sticker to the polybag displaying the size of the garment inside. You can provide your own custom polybag or use our standard polybag. If you have branded materials to include in the packages shipped to your customers, we will gladly pack them for you. Supply us with your flyers, postcards, business cards, stickers, etc and we will include them in each shipment to your customers.